This album is now out of print, but you can still get it from the iTunes store. We’ll let you know when/if we make more. 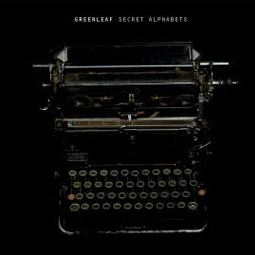 Like any side project — and, make no mistake, the members of Sweden’s Greenleaf have their fingers in way too many pies for this to constitute anything else — 2003’s Secret Alphabets album can’t disguise the partial commitment of those involved in its creation, which, incidentally, occurred more than two years after the band’s inauspicious stoner rock debut. Don’t get us wrong, Secret Alphabets is a very solid, surprisingly straightforward hard rock album, but the competent songwriting present in energetic rockers like “10,000 Years of Revolution” and “Witchcraft Tonight,” as well as mellower, psychedelic, and space rock-tinged excursions such as “The Combination,” “One More Year,” and “Masterplan,” never really attain elevated orbits of inspiration. The lasting impression is that of a group taking time off from their day jobs: It’s fun and entertaining enough, but hardly worth quitting that day job. Still, for what it’s worth, “Black, Black Magic” strikes a familiar, but welcome, chord reminiscent of Monster Magnet, and the particularly memorable “Never Right” contains possibly the best Paul Stanley vocal impression ever committed to tape. Just who is responsible for this soul-channeling feat is not made clear by the sparse liner notes contained herein (possibly one Singe?) but, suffice it to say, the results are downright scary, and, on their own, almost require one to check this album out. Recorded Between December 2002 and March 2003 at the Rockhouse Studio, Borläang Sweden. Produced and mixed by Greenleaf.